A Greek-Inspired Film: Swing Away is a Greek-inspired sports comedy (with golf as the vehicle and Greece as the backdrop in which to tell the story) that was shot and post produced in Greece in an effort to support the Greek creative community, as well as to showcase the enormous talent of those working in the industry there, both in front and behind the camera. This is SPECIAL RELEASE | GENERAL ADMISSION film screening event. 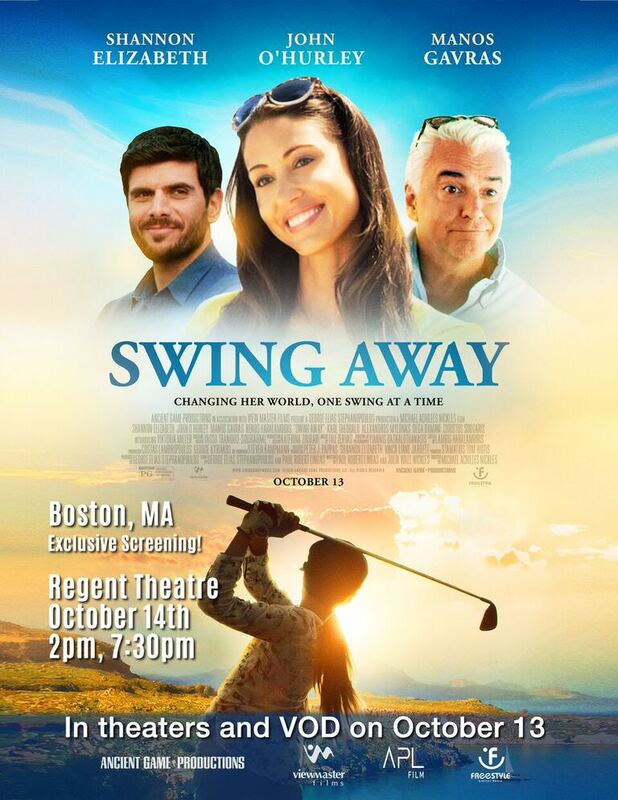 Following a meltdown that leads to a suspension, professional golfer Zoe Papadopoulos (Shannon Elizabeth) travels to her grandparents’ village in Greece to escape the harsh spotlight of the international sports world. Between baking bread and eating baklava, she meets and mentors a ten-year-old girl who is determined – against all odds – to become the next golf sensation. Along the way, Zoe rediscovers her Greek heritage, her love of the game, and the hidden strength within herself as she inspires the townspeople in an epic showdown against a greedy American developer.